The base of the annex features a number of cramped, dark, brick built rooms. Wiring and switchgear snake off in all directions. This was the distribution point, where the Power Station was connected to the rest of Pyestock. During decommissioning, many of the wires and fuse boxes were removed or cut, leaving empty cable runs and lopped cables. 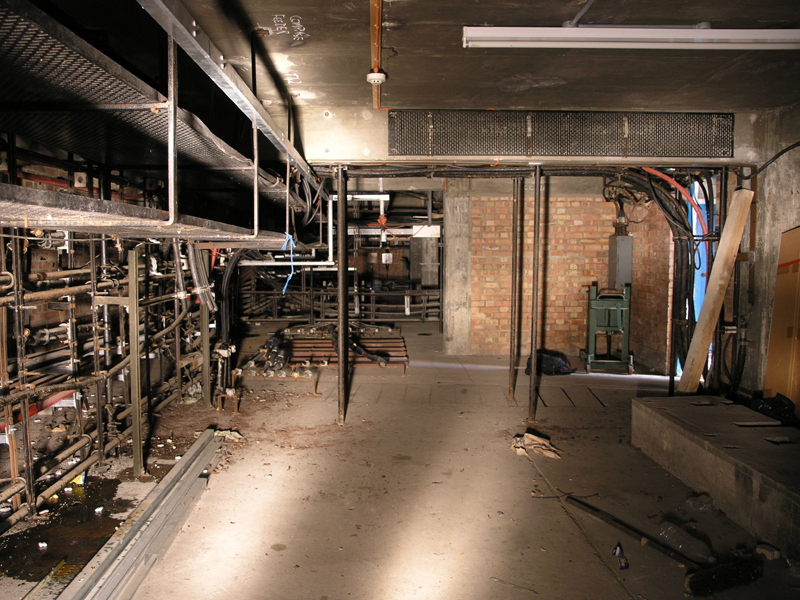 Northern view of the distribution and wiring in the ground floor of the annex.